We have some monster sample boards in our warehouse. These boards are 7FT tall and 3FT wide. The idea is to show how the Venato collection as you can see in any of our customers pictures really, really goes well together in many formats. It is a consistent base product perfect for customers looking to use multiple products in a bathroom. If you would like to see more pictures please let us know. Calacatta is a spectacular marble but this particular lot is one of the very best we have ever seen. You can get some Calacatta where the base is too creamy and not white enough, or too much veining and it looks too busy. It is such a complex stone to get right and with Calacatta even when it is not perfect it is still such a beautiful stone. 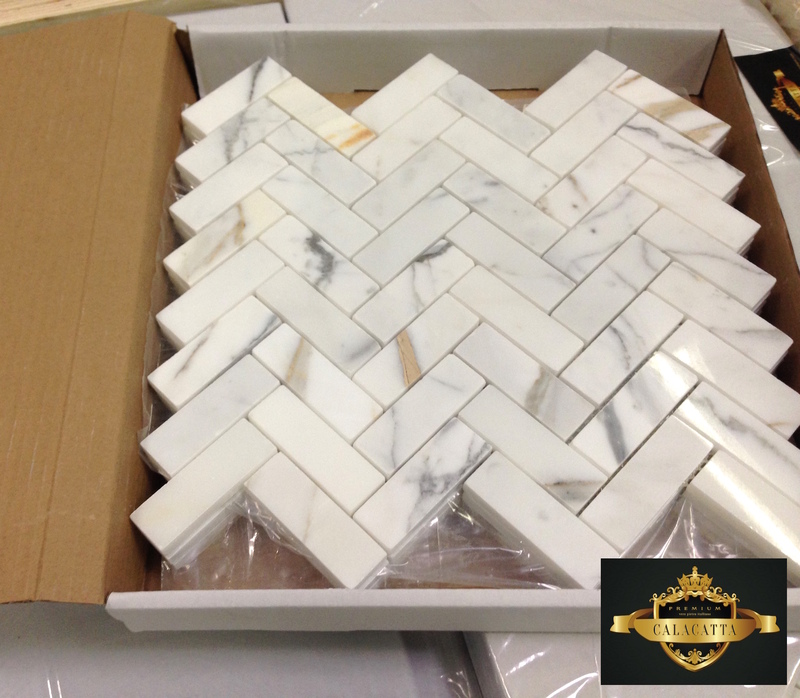 But when we opened this crate of 1×3″ Herringbone polished it was utter perfection, there was a ‘gasp’. 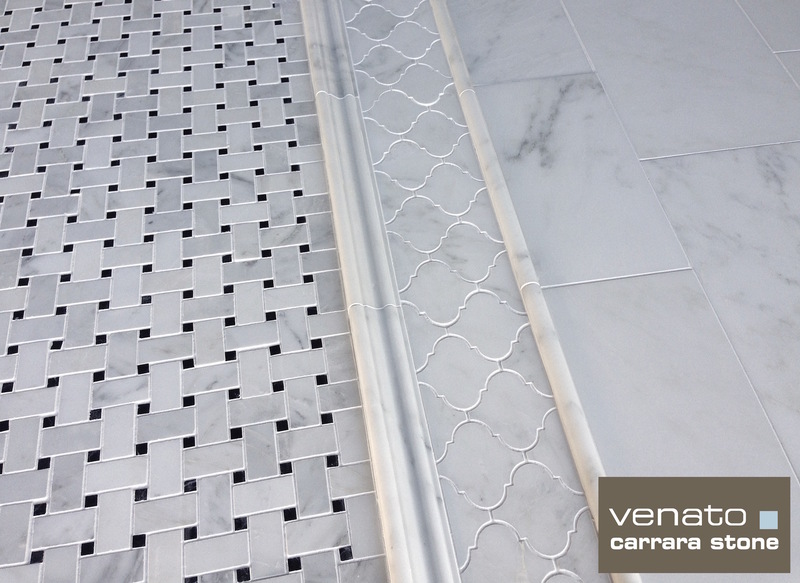 Rarely do all things come together with Calacatta, perfect veining (just enough) and a super white base. This particular lot of Herringbone Polished we will call it lot# CGP011515HB is just spectacular. On the economics of supply and demand we should increase the price for perfect Calacatta, but that is not the way we do business, so the price stays at a crazy $16.95 a square foot. If you are lucky enough for this particular lot to adorn your Kitchen backsplash or Bathroom, please, please, please you have to send us pics of this installed. I know it sounds silly but we really, really do love marble. We love opening crates it is like a HGTV ‘big reveal’ everyday, we love matching different sizes for our bathrooms orders, we love the feeling of shipping out a product that a customer will get and they too will be amazed. In short we love what we do. So if you are looking for marble, not just Calacatta, perhaps Carrara or Crema Marfil and what to work with a company that is passionate about products they sell, give us a call 800-308-9359, drop us an email. We really do know marble.